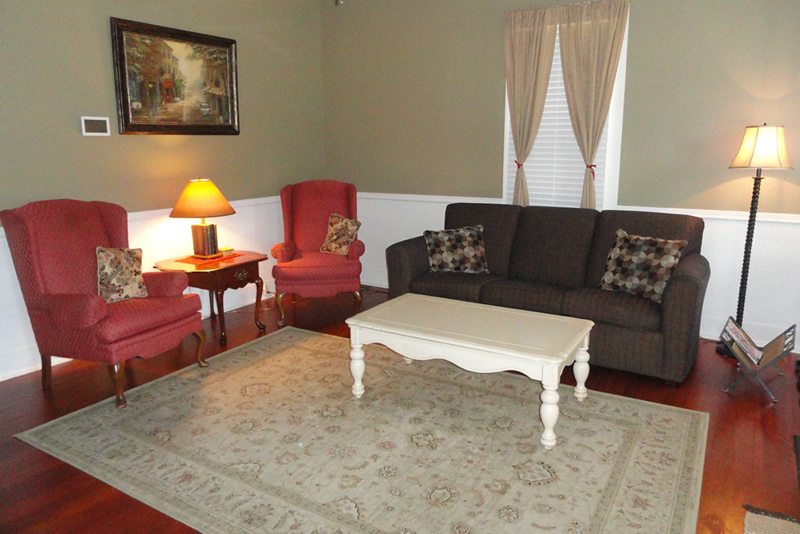 The Cappuccino Suite is a two-story suite that has direct access off the garden patio and front porch with a view of the bluffs. 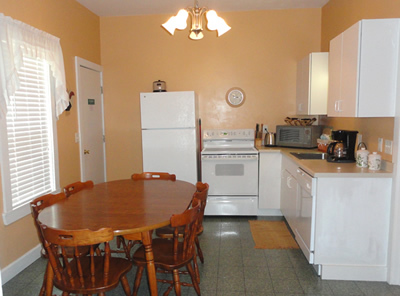 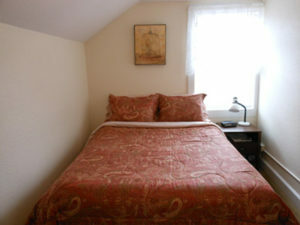 This suite sleeps 6 to 8 and has a living room with hard Hemlock floors and a fully equipped kitchen. 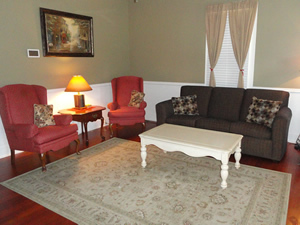 Cable, DVD, newly added 50″ flat screen Smart TV and media center with fireplace. 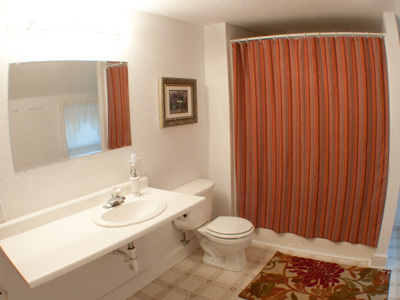 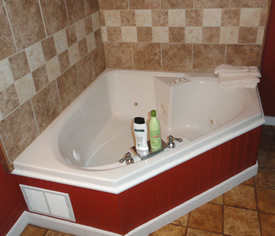 Large bathroom upstairs with tub and shower and on the lower level large bathroom with 2-person whirlpool tub. 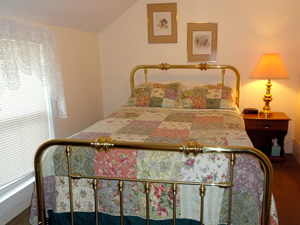 Rates are for up to 6 people. 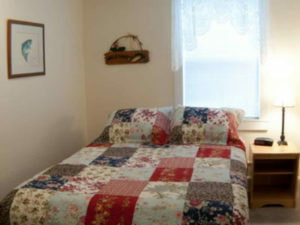 Can accommodate up to 8 people for an additional $20.00 Fee Per Person.